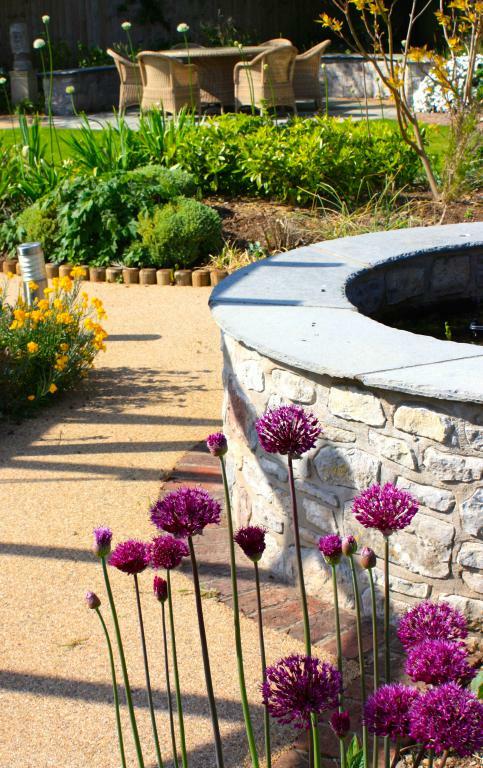 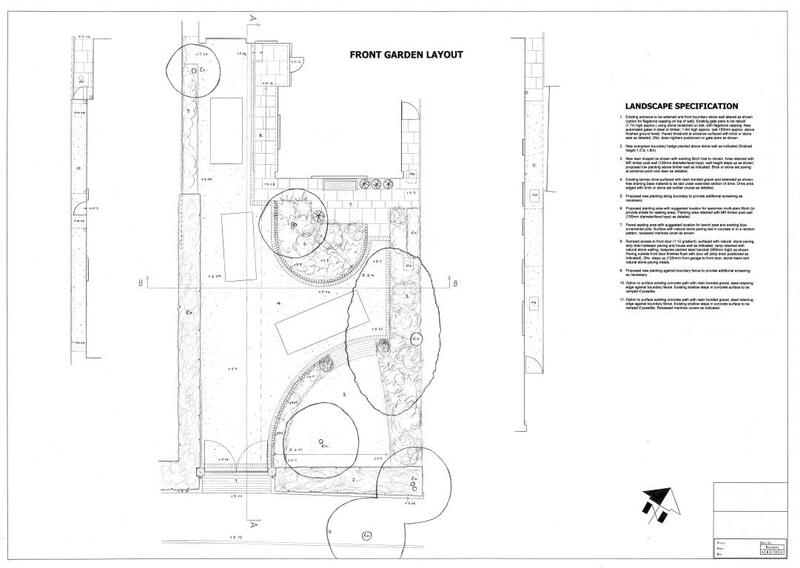 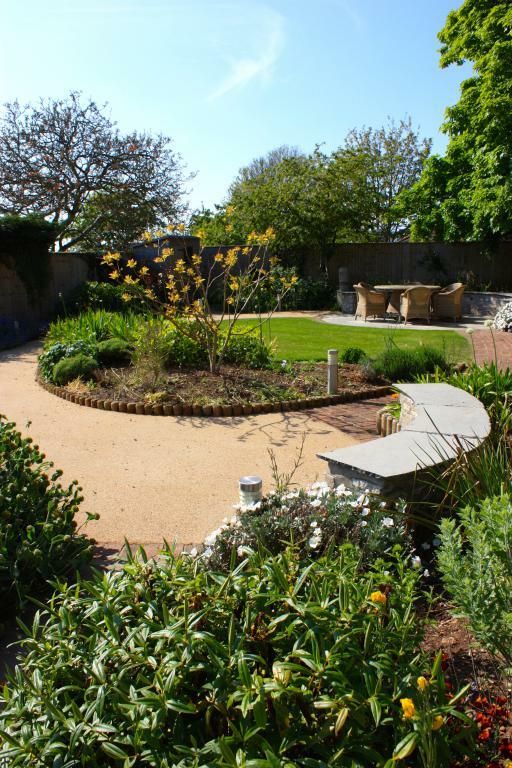 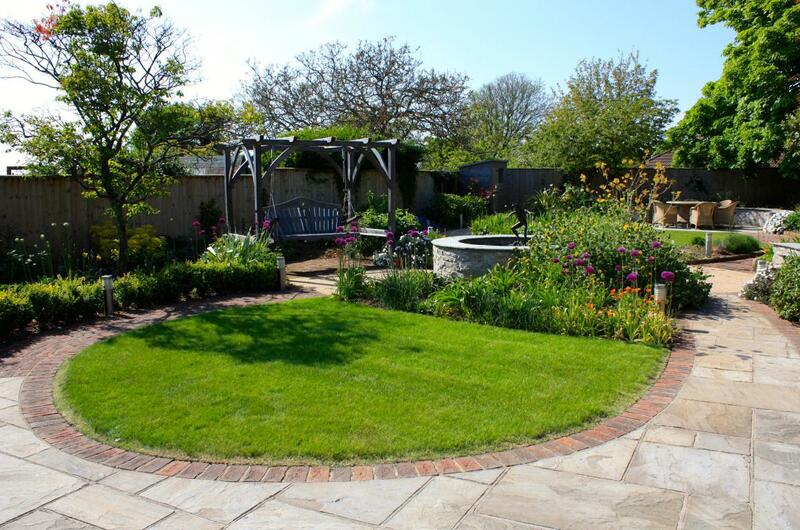 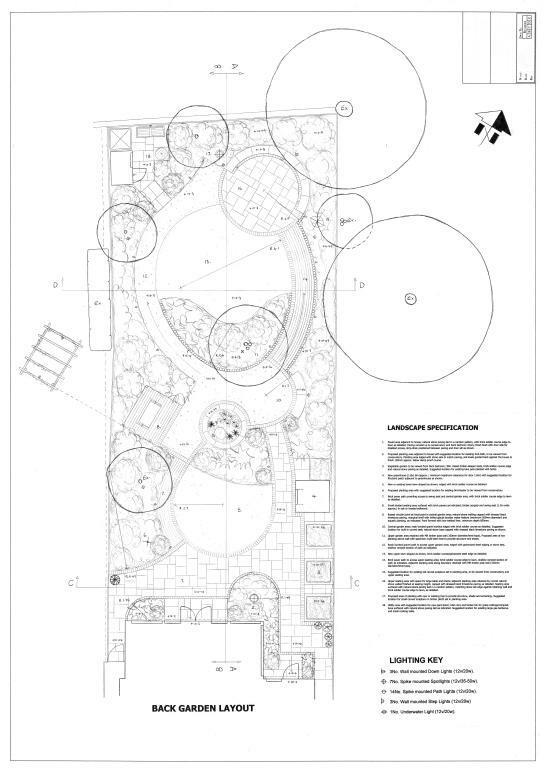 Medium sized Clevedon garden (12x60m) designed for the client’s elderly parents struggling with dementia. 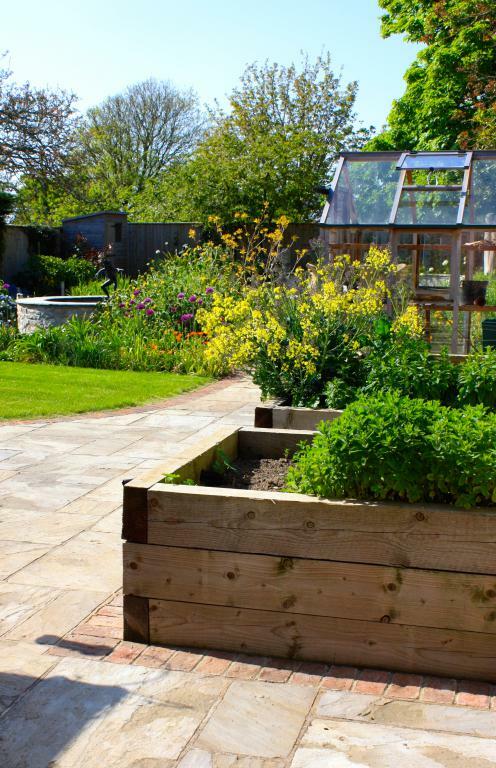 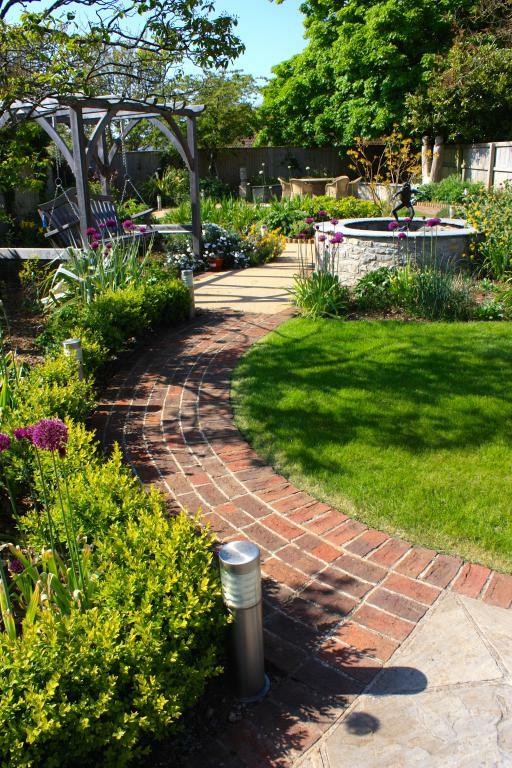 The layout is designed as a figure of eight to promote easy circulation around the space and avoid confusing dead ends. 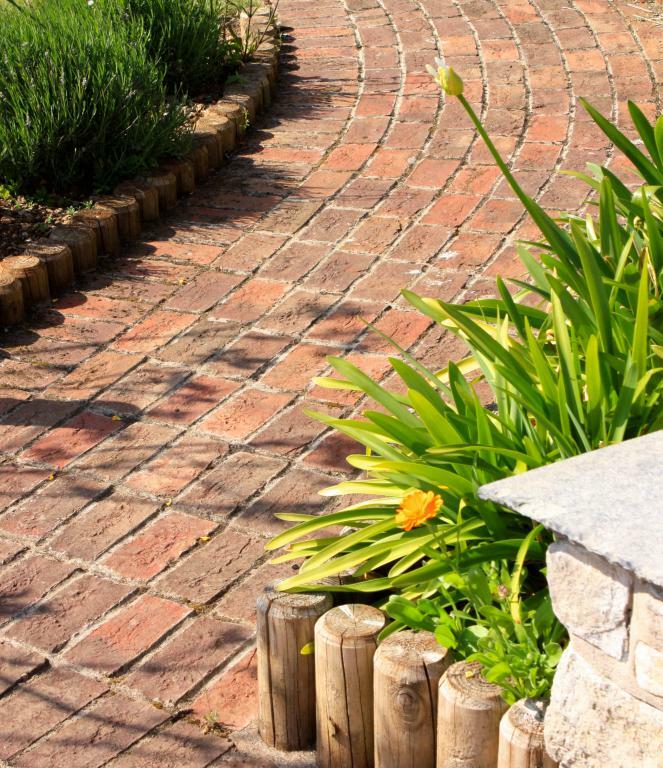 Steps are avoided in favour of ramps, while a combination of stone, brick and bonded gravel surfaces produce contrasting textures and provide a smooth non-slip surface. 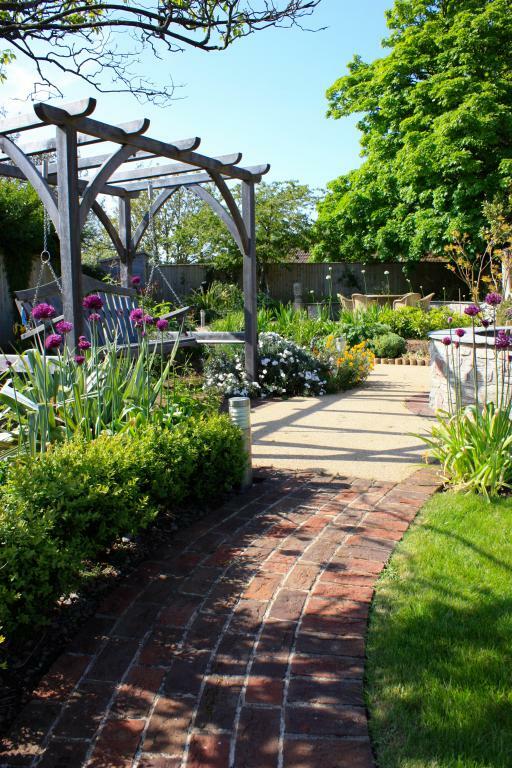 Places to pause and rest are positioned along the route, including a favourite swing seat. 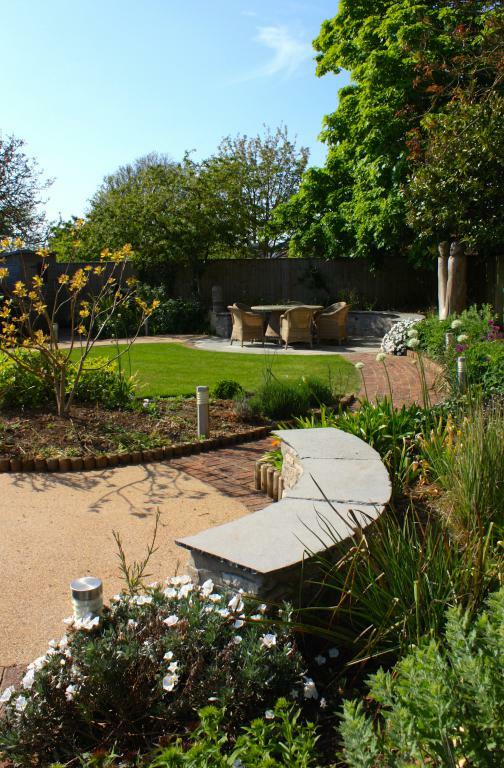 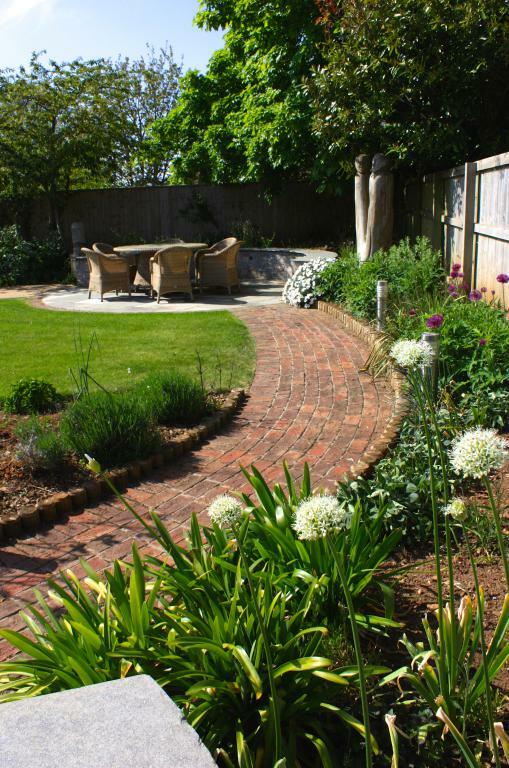 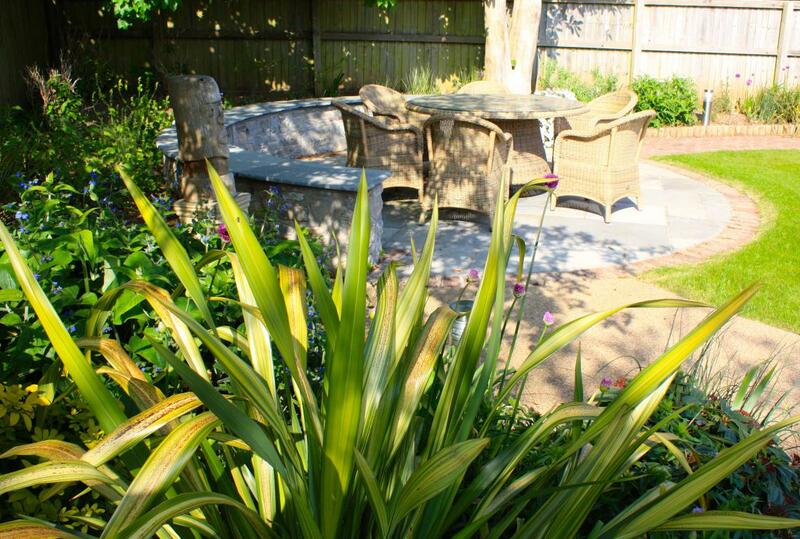 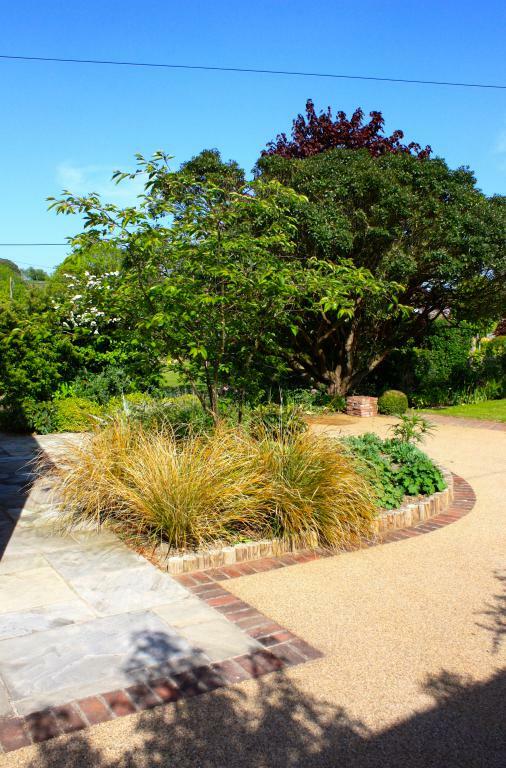 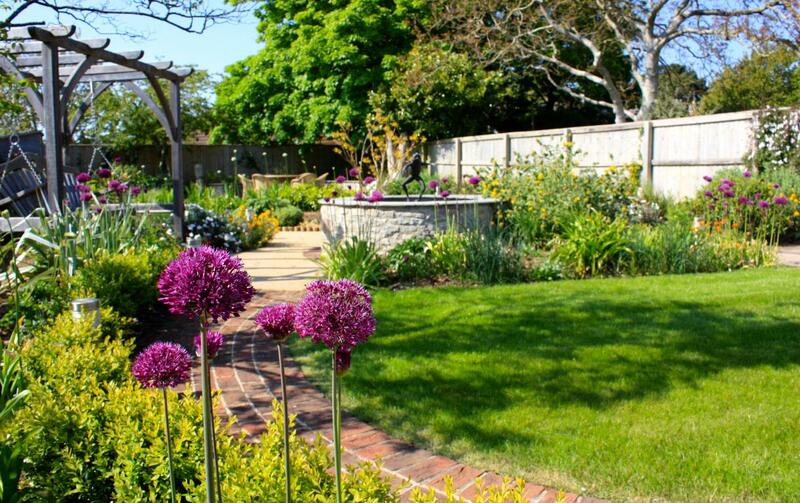 Stimulation is provided by water and the inclusion of familiar garden features, including sculptures created by the client’s mother. 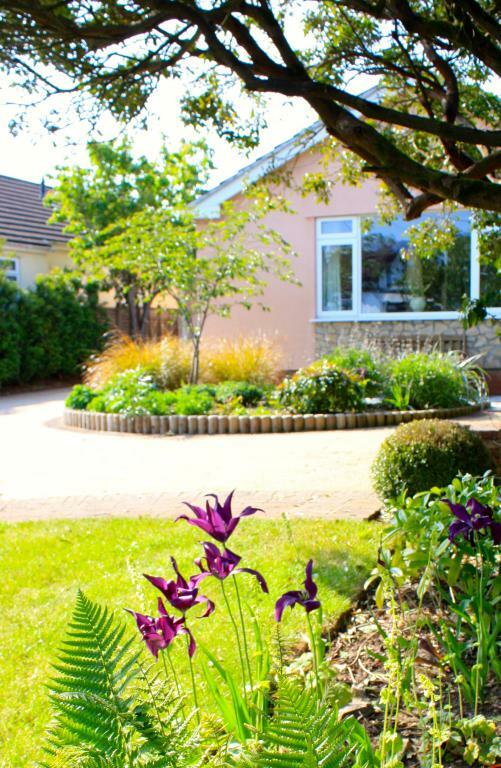 Bright coloured planting was chosen to provide year round interest and includes varieties of particular significance to the parents.